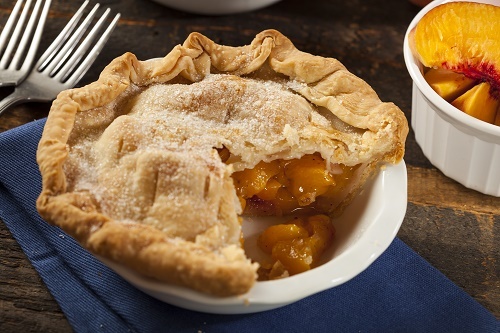 Peach pie filling has delicate coloring and flavor. You don’t even need to peel the fruit – the peel only adds taste. You need 4 pounds of ripe peaches for an average-sized pie. Slice up each peach, mix with ¾ cup sugar and season with vanilla extract and a pinch of cardamom.